On the afternoon of Sunday 10th May 2015 Saint Leonard’s Parish Church Loftus, in partnership with Loftus Town Council, Loftus Community Special Events Group and other community groups, hosted a special and unique Service of Thanksgiving for Peace in Western Europe on the 70th Anniversary of VE Day. 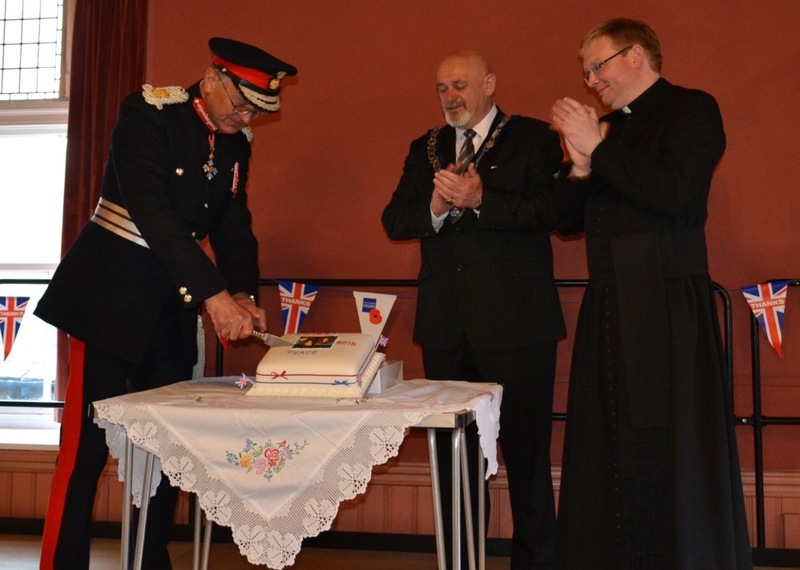 The Service of Thanksgiving, which had been arranged in response to a request from central government for communities to celebrate this milestone in British History, attracted a congregation of well over one hundred and fifty people including the new Lord Lieutenant of North Yorkshire, Mr Barry Dodd CBE on his first official visit to the town of Loftus. 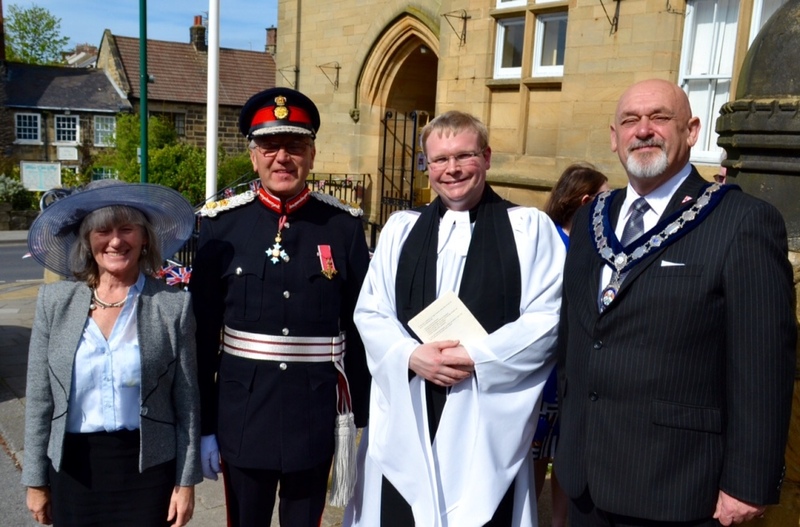 The special service was also attended by the Mayor of the Borough of Redcar and Cleveland, Cllr Carole Simms; the Mayor of Loftus, Cllr Barry Hunt; the Mayors of Guisborough and Whitby; and by a number of other Civic and Community Leaders from across Teesside and North Yorkshire. Also attending the service was the newly re-elected Member of Parliament for Middlesbrough South and East Cleveland Mr Tom Blenkinsop MP on his first official public engagement since the General Election. 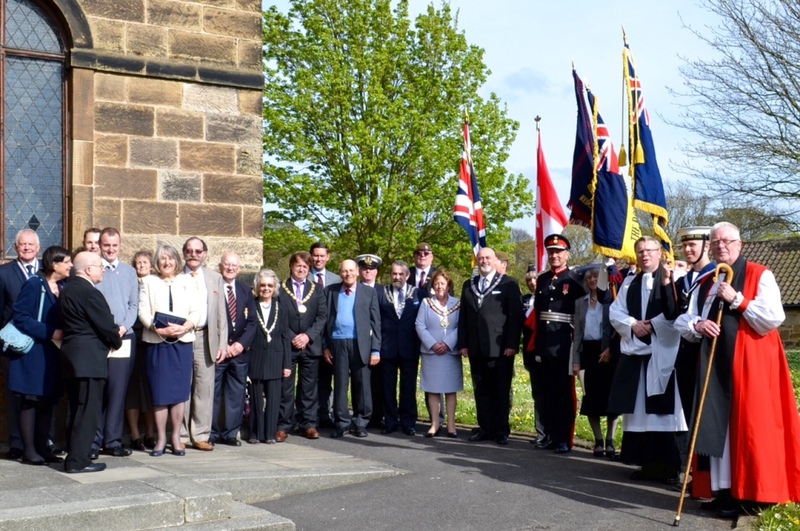 Representatives of the local branches of the Royal British Legion and the Royal Artillery Association were also in attendance; as were cadets and staff from the Guisborough & East Cleveland Sea Cadets and members of the Loftus detachment of the Army Cadets. In total, five standards were presented and laid-up at the high altar for the duration of the service. During the Service of Thanksgiving and the Sermon was delivered by The Right Reverend Gordon Bates, Honorary Assistant Bishop in the Diocese of York and former Bishop of Whitby, who reminded the congregation that although it has been seventy years since conclusion of the Second World War we should now forgive “but never forget” the realities of war.